Update, October 15: This article has be updated to correct errors in the timeline of events. With deep sadness, NIRSA shares the news that NIRSA Past President and Honor Award recipient Edsel Buchanan, aged 90, passed away on Saturday, September 29 after a lengthy battle with Alzheimer’s. Edsel made a lasting impact on many communities, but his contributions to the NIRSA family, and what it has become, cannot be understated. A Texas native, Edsel spent 25 years working in campus recreation at Texas Tech, was a veteran of the U.S. Army—serving on active duty within the Corps of Engineers during the Korean War—and was a nationally decorated NCAA athlete at and a graduate of the University of Michigan, in addition to serving as chair of the academic program for Recreation and Leisure Studies at the University of Nebraska Omaha before his retirement in 1992. He continued to actively serve the Association for more than a decade after retiring. 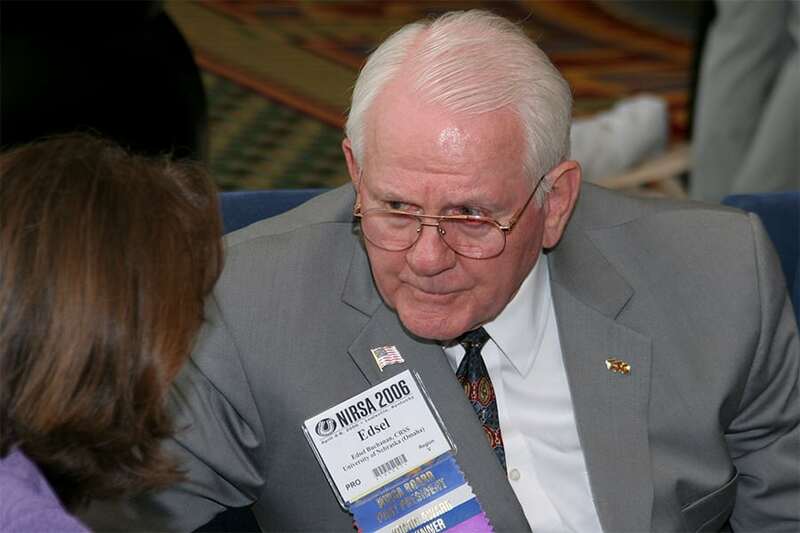 The list of his volunteer contributions and a log of his hours in service to the Association would span enough pages to make a book, but a few of the many key roles that he served in include NIRSA Secretary (1965), NIRSA President (1968), Executive Secretary of NIRSA (1972-1973), Chair of the Finance Committee (2005), and Chair of the 50th Anniversary Celebration of NIRSA. 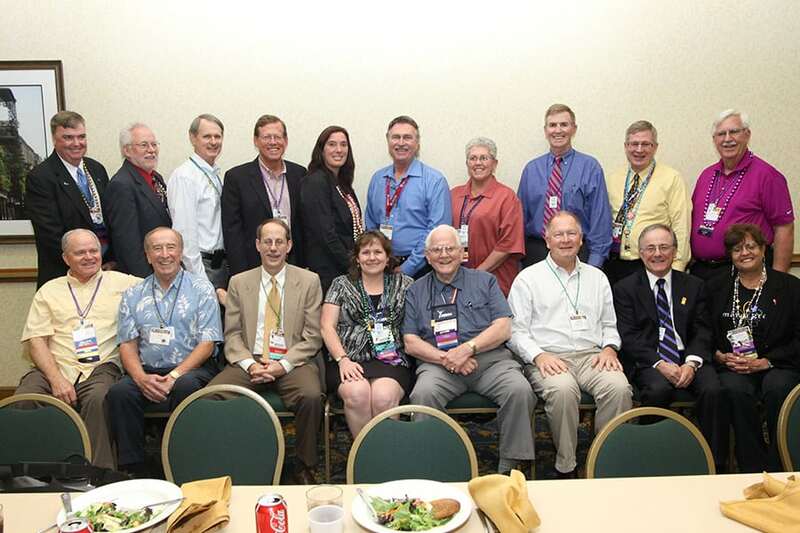 “Few professional associations exhibit the truly unique and magnetic camaraderie as found within NIRSA. NIRSA is a caring and sharing association,” Edsel wrote in an article published in a 1992 volume of the Recreational Sports Journal. His words continue to ring true today, thanks in no small part to Edsel’s leadership. Born outside of Amarillo, Texas in 1928, Edsel was a three-sport athlete in high school. While growing up, he also received tumbling and trampolining training from the local Boys Clubs of America affiliate. The experience helped Edsel secure a gymnastics scholarship at the University of Michigan where he obtained Bachelor of Science and Master of Arts degrees. Along with some of his fellow gymnasts, Edsel was a cheerleader at Michigan, and described the on the field tumbling and pyramid building experience, particularly at a Rose Bowl win for Michigan, as a “thrill.” While at UM, Edsel won three consecutive NCAA trampoline championships. In addition to his athletic and scholastic responsibilities, Edsel took a job working as a student employee within the intramural/recreational program where he had the fortune of studying under some legendary names in the history of intramural sports and recreation, including Dr. Elmer. D Mitchell, Earl Riskey, Rod Grambeau, and Cliff Keen, all of whom he counted as significant influences. Edsel credited his studies at UM and his work with its intramural and recreational program as direct factors which would lead to his position as the campus recreation director at Texas Tech, a role he would embody and expand for 25 years. During his tenure at Texas Tech, he hired Will Holsberry—a NIRSA legend in his own right—to be the Assistant Director there as the student population ballooned from 10,000 students to 25,000. Edsel left Texas Tech to pursue a doctorate degree, which he earned from the University of Houston with major interests in the administration of Health, Physical Education, Recreation, and Dance (HPERD). After two-years at the University of North Texas, Edsel was hired in 1979 by the University of Nebraska at Omaha (UNO) as the chair of the academic program for Recreation and Leisure Studies. “Dr. Buchanan loved students, loved collegiate recreation, and loved people. I feel blessed to be able to call him a friend. His love of people, his easy-going personality, and his wealth of experience drew people to him and he always made time to connect to everyone,” says Joe Kaminski, Senior Director for Wellness and Director of Campus Recreation at the University of Nebraska at Omaha. While at UNO, Buchanan was a professor within the School of Health and Kinesiology until his retirement. A lifetime member of NIRSA since 1959 and Honor Award recipient in 1974, Edsel will be revered in the annals of NIRSA history as the individual who in 1975 introduced the motion to change the name of the organization from the National Intramural Association to the National Intramural-Recreational Sports Association. He served as editor of the Association’s newsletter during its formative years and as the NIA’s second Executive Secretary. “Edsel was truly one of our greats,” says Past President of NIRSA and fellow Honor Award recipient Maureen McGonagle, Director, CENTERS, LLC at DePaul University. 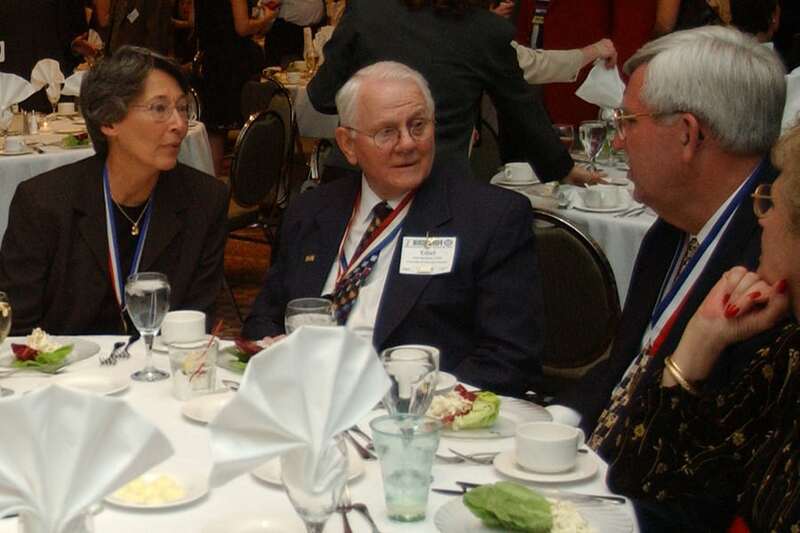 He attended his first NIRSA Annual Conference in 1957 and rarely missed the annual event, frequently presenting sessions, until his official retirement from NIRSA service in 2005. “I had the unique opportunity to serve with Edsel on the NIRSA Board of Directors when he was the Past President’s Representative. What an experience, and a wealth of knowledge,” reminisces Stan Shingles, Assistant Vice President at Central Michigan University and Past President of NIRSA. Edsel published dozens of articles and in 1992, the same year the NIRSA Foundation was founded, he paid tribute to the leaders who served before him: “NIRSA has developed a complexity and sophistication which was clearly not visualized during the formative years of 1950 through the early to mid-1970s,” Edsel wrote. 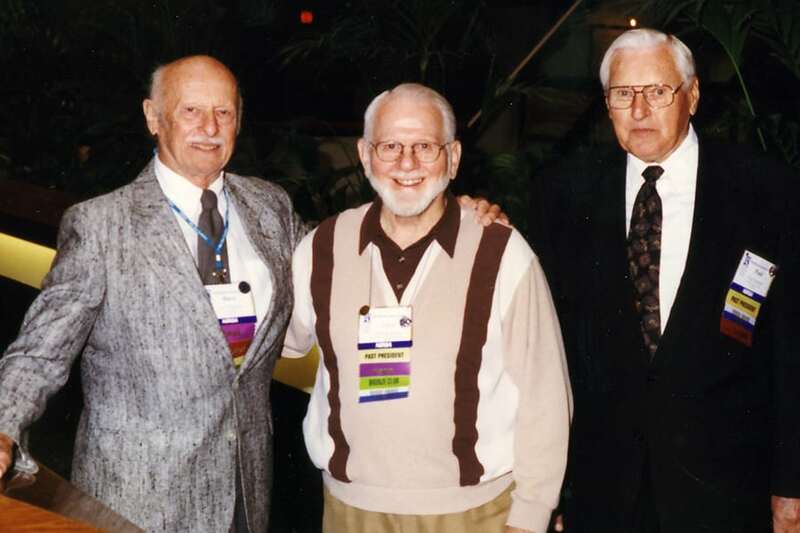 “It is clear, however,” he continued “that the success of NIRSA rests on the sound foundation provided by the exceptional dedication of its leadership throughout the formative years.” Words that can surely be applied to Edsel’s own legacy. 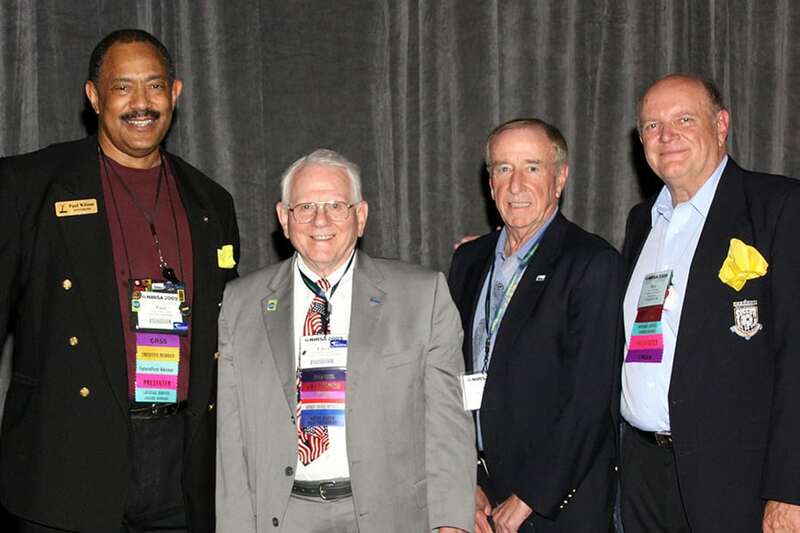 Perhaps his longtime NIRSA colleague and fellow Past President of NIRSA and Honor Award recipient Bill Manning, Executive Director of Rec Sports and Senior Associate AD, Saint Mary’s College of California, summed him up best: “Edsel was a wonderful person!” He will truly be missed by the NIRSA family. In 2000, Edsel was preceded in death by Anita, his wife of nearly 50 years. He is survived by his daughter Stella Watts and sons Steven and Stanley. H. Edsel Buchanan’s memorial service will be on Saturday, October 13 at 2:30pm local time at Benson Baptist Church, 6319 Maple St., Omaha, NE 68104 with a reception at the church following the service. In lieu of flowers, Edsel’s family asks for donations to be made to the Nebraska Chapter of the Alzheimer’s Association.